Patients requiring potentially life-changing investigations are set to benefit from a new, state-of-the-art scanner which has been installed at Hull Royal Infirmary. Radiographers took delivery of the new 1.5T Siemens Aera MRI scanner, valued at around £1 million, last month when it was hoisted into place in the hospital’s MRI Centre. The machine performs body scans to help identify and diagnose conditions such as cancer and epilepsy, for example, but can also be used to examine brain development in children, to investigate cartilage and ligament damage, and even look between the ears for the causes of hearing loss. The first scans involving patients will be carried out later this week. The investment is part of an ongoing programme within Hull University Teaching Hospitals NHS Trust to update and replace ageing radiography equipment. 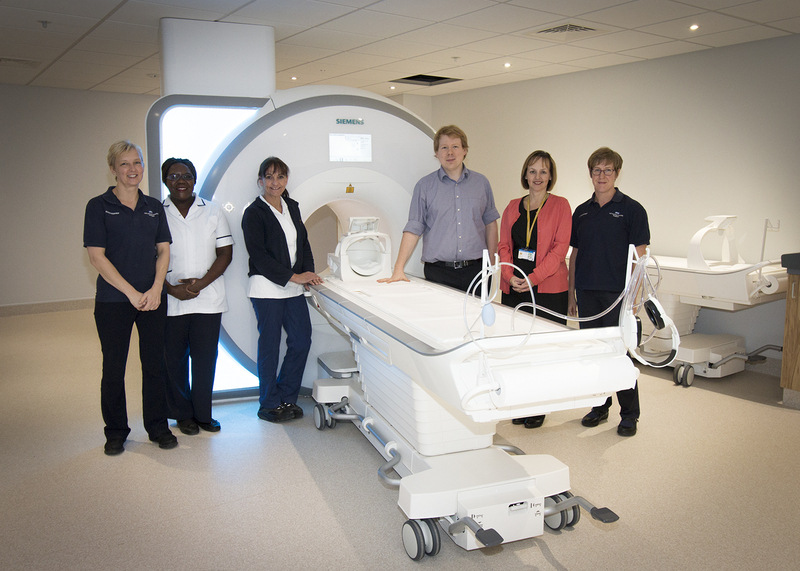 This latest scanner replaced a previous model which has been is use for the last 24 years, and the surrounding areas of the MRI Centre have also been transformed to provide a new recovery area for patients and additional patient changing facilities. “The new MRI scanner will provide a much better experience for people requiring diagnostic scans, to investigate back or knee pain, for example, or to monitor how a tumour is progressing. “The new scanner is wider and shorter than the previous model, meaning it will be better for those who don’t like tight spaces or the feeling of being confined, and it also features special mood lighting to further relax our patients. “Having a MRI scan normally creates a certain level of anxiety anyway, as people are nervous about coming for tests or receiving a diagnosis, so the more at ease we can make our patients feel, both physically and mentally, the better it is for everyone. “Patients can spend anywhere from 30 minutes to an hour having their scans, but as we now have access to the very latest diagnostic software, it means that, in some cases, patients will spend less time in the scanner, and we will also be able to perform more specialised examinations if required. “As well as the machine itself contributing to a better patient experience, we’ve also carried out some works around the scanner. The main scanning room has been shielded with a copper cage to keep the magnetic field in, but outside of that, we’ve also converted former offices into extra space for patients to change, be prepped, and recover after they have undergone their scans. “There’s a much brighter, airier and more relaxed feel to the place, and this is something which benefits both patients and the staff who work here, all of whom have been played a huge part in getting the scanner up and running and really embraced the changes whole-heartedly. A small number of staff have been trained to use the new software initially, and this training will be cascaded to other members of the team over the coming weeks.